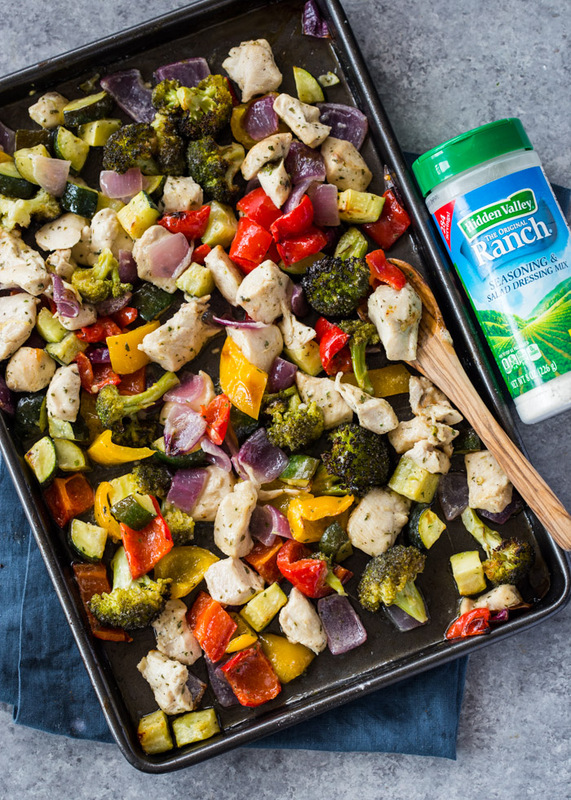 Dinner just got a whole lot easier with this healthy 15-minute sheet pan ranch chicken and veggies. 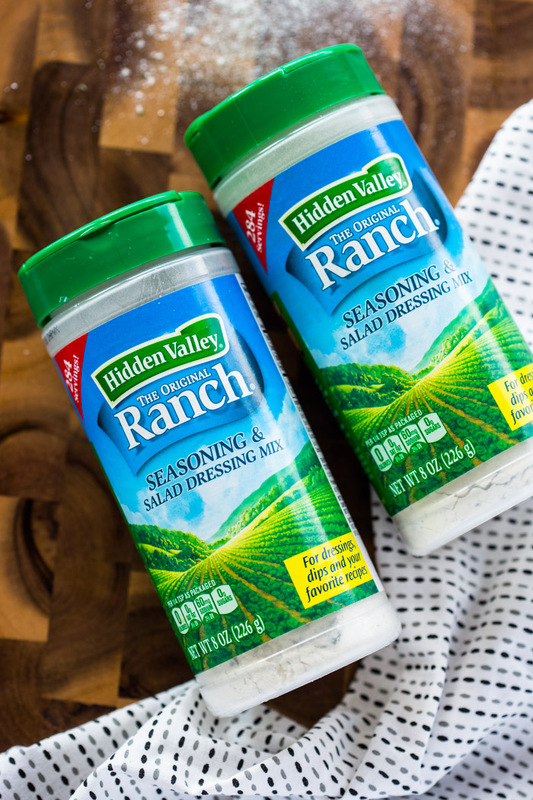 With Hidden Valley® Ranch Seasoning & Salad Dressing Mix shakers, making a flavor-packed meal is as simple as shaking the seasoning onto your favorite chicken and veggies! 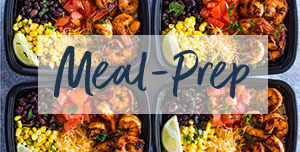 Sheet pan meals have become a frequent part of our dinner routine. No need to worry about washing multiple pots and dishes. You basically toss all of your ingredients in one pan bake! 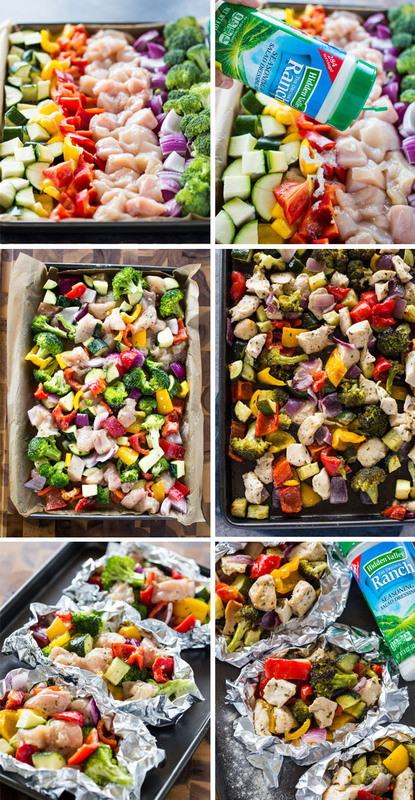 Our most favorite type of sheet pan meal is my popular 15-minute chicken and veggies. 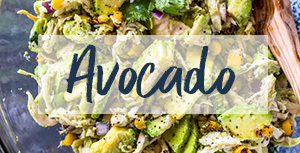 It’s healthy, flavorful, quick and is great for lunch, dinner, or meal-prep! 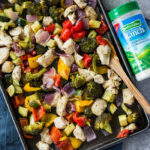 Today we’re throwing a twist on the 15-minute chicken and veggies with the addition of ranch seasoning, thanks to Hidden Valley® Ranch Seasoning & Salad Dressing Mix shakers. These Convenient, pantry-friendly dry Original Ranch dip and dressing mixes make it easy to transform everyday meals into savory dishes! A shake or two of this well-seasoned ranch will add the creamy tangy flavor or ranch to all your favorite dishes. I’m so obsessed with these shakers, I sprinkle it on everything and always make sure I have one in my pantry. 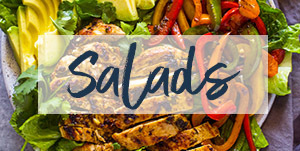 It’s great on chicken, vegetables, popcorn, burgers and more! To begin, simply chop up chicken breasts and all your favorite veggies. We like to use broccoli, onion, colorful bell peppers, and zucchini. Tomatoes, brussels sprouts, string beans, asparagus, or par-boiled potatoes also work great. 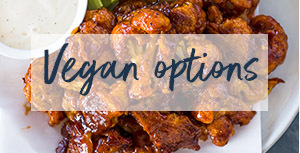 You can also switch up the chicken with sausage or shrimp! 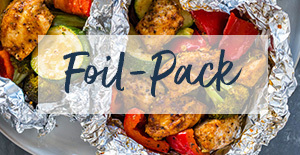 Place the chopped chicken, veggies and minced garlic on a sheet pan and drizzle with olive oil. Next, sprinkle with a few shakes of ranch seasoning mix and bake for 15 minutes on 500F. 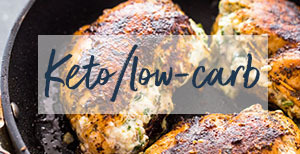 The result is perfectly tender and charred chicken and veggies that are loaded with the creamy and tangy flavors of ranch and garlic! 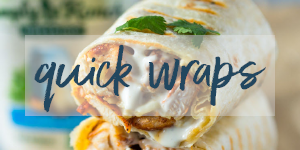 Serve with rice, tortillas, or meal-prep for an entire week of healthy meals! can be found on Walmart.com here! Preheat oven to 500° F. Spray a large baking sheet with cooking spray or line with parchment paper or foil. Chop all the veggies into large pieces. On a separate plate or cutting board chop all the chicken in large cubes. Place the chicken and veggies on the prepared baking sheet. Add garlic, olive oil, and Ranch seasoning. Toss to combine. Bake for 15 to 20 minutes or until the veggies are charred and chicken is cooked through. Serve immediately and enjoy with rice, tortilla or as is! 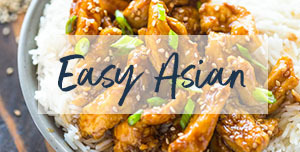 I don’t know why this recipe has no reviews yet, it’s delicious! I already made it once earlier this month, and I’m making it again tonight. Thank you very much for such a wonder meal!